A truly global affair, the London Design Fair 2018 will host a wealth of exhibitors from 36 countries. 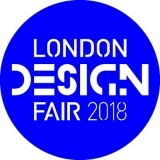 The largest international fair - taking place during the London Design Festival - prizes innovation, quality and diversity in design, and visitors can once more expect a first class show. With its highly curated elements and compelling editorial, the Fair’s expressed intention is to heighten the visitor’s experience. The Fair’s Material of the Year is plastic: hotly debated and very much a pressing concern, the emphasis is on finding new and better ways of using this contentious material. The London Design Fair provides a valuable forum for showcasing international design and is proud to have 13 country pavilions at this year’s event, surpassing previous years. Alongside the Guest Country Japan, other pavilions include Portugal, Spain, Italy, the Netherlands, Korea, Sweden, Denmark and Finland. The British Craft Pavilion will make a welcome return, curated once again by Hole & Corner. Each country pavilion has its own strong design narrative and mission, many of which were developed in conjunction with the Fair’s team. Each year, over 28,000 influential retail buyers, producers, architects, designers, interior designers, press and design-savvy public, will attend to see the very latest in furniture, lighting, textiles, materials and conceptual installations, from all around the world. The forthcoming Fair will again take place in the one and only Old Truman Brewery, from 20th-23rd September 2018. It promises to be a memorable show. From Toronto, Canada, Hi Thanks Bye is the collaborative effort of Stein Wang and Topher Kong. Using a mix of cultural and academic experiences and references, the two designers exchange ideas on the meaning of furniture and interior space in modern contemporary living. The debut collection from Hi Thanks Bye—collection 0—is a sculptural interpretation of the Canadian landscape combined with a Chinese aesthetic. The entire collection is made using powder-coated stainless steel (with the exception of upholstery pieces). Functional and versatile, designs include the U0 shelf, V0 side table and R0 dining chair. Tero Kuitunen works as a spatial and product designer in Helsinki. He has graduated as a designer from the Applied Arts MA program at the Aalto University School of Art, Design and Architecture. Tero works as a product, concept and interior designer in projects for clients such as Supercell, Absolut Vodka, Aalto University and Ivana Helsinki. At this year’s Fair Tero will showcase on the Finnish Pavilion a number of new designs including the terracotta Mix & Match vases and Boudoir Mirrors. The critically acclaimed British Craft Pavilion returns to the London Design Fair for its third edition. With 40 makers from varied craft disciplines, the pavilion will once again be curated by Hole & Corner, the lifestyle brand celebrating and promoting creativity, craftsmanship, heritage and authenticity. New to this year’s pavilion is the modular 40 project. Initiated by Hole & Corner, a leading architect will submit designs for a modular display system to replace the traditional shell scheme provided to exhibitors—the aim is to elevate the appearance and feel of the British Craft Pavilion. Highlights include Naomi Bikis, founder of London-based Bikis Ceramics. Creating limited edition collections, her work—an exploration of undulating sculptural forms—draws inspiration from 1970s product design and ancient functional ceramics. Christabel Balfour studied at the University of Oxford’s Ruskin School of Art. Specialising in woven sculpture, Balfour established her south London studio in 2015. From here, she weaves architecturally-inspired rugs and wall-hangings on a 1976 Harris floor loom and a 1992 Don Porrit Loom. During 2018, plastic has grown exponentially to become a pariah in the minds of many designers and consumers alike. As governments strive to tackle and ban ‘single-use’ plastic, and increasing amounts of microplastic are found in fish, we are left with an obvious problem: what to do with the difficulties posed by plastic? London Design Fair chose plastic as the 2018 Material of the Year, in a bid to showcase and celebrate just some of the designers who are engaging head-on with the significant environmental issues posed by plastic. Material designer Charlotte Kidger recently graduated from Central Saint Martins with an MA in Material Futures. Working with polyurethane foam dust, a by-product of CNC fabrication, she has created a versatile and durable composite material. The composite is processed by means of cold casting to create 3D objects. Kidger will show her collection of large-scale tables and vessels at the Fair. The Swedish Design Pavilion is the annual showcase for Swedish designers, studios and companies at the London Design Fair. This year, 13 forward-looking, young and dynamic designers from across Sweden will show a range of bold and innovative designs. The Swedish Design Pavilion aims to raise the international awareness of Sweden as a multifaceted design destination. From her studio base in Malmö, Sweden, glass artist Nina Johanna Christensen shows a fascination for glass as an organic material, particularly in its liquid state. Christensen sketches her unique glass works in her studio. A glass-blower, she then crafts her designs in Varberg, Sweden. Lisa Hilland combines modern production techniques with artisanal skills. Working from her studio in Sweden, Hilland’s work is contemporary with a poetic twist. Swedish Ninja, a Malmo based studio founded by Maria Gustavsson. Maria designs and produces a colourful range of lighting and furniture. Notebook is a a cabinet with the personality of a notebook. Keep you belongings inside and use the cork for your poems. UMPRUM—the Academy of Arts, Architecture & Design in Prague—was established in 1885. Since that time, this prestigious institution has flourished: ranked among the best educational establishments in the Czech Republic, it has many successful graduates and is the only Eastern European school to figure in the indices of prestigious European and world art schools. The Studio of Glass at UMPRUM will present ‘Colours of Transparency’, showcasing the latest body of imaginative works by students. Pellucidity and hue, as related to glass, form the central theme of the exhibition. Associative Design will present an eye-catching showcase of refined, contemporary Portuguese design. Created by the Portuguese Association of Wood and Furniture Industries (AIMMP), Associative Design seeks to promote Portuguese design globally, exhibiting the best of Portugal at many of the design world’s most discerning and distinguished shows. Highlight includes the Bridge Desk by Christophe de Sousa for Wewood. It’s a brilliantly crafted modern desk, inspired by the city of Porto (the only city in Europe with six bridges). In creating the Bridge desk, de Sousa wanted a piece of furniture that would directly connect the user with their work/hobby—hence the name ‘Bridge’. The desk incorporates a gap at the back of the desk for cables and acts as a tablet/ipad stand etc. Since 2002, Seoul Design Festival has supported up-and-coming Korean designers and design brands; the quintessential design event in Korea, the festival promotes more than 200 designers and brands every year. With its motto ‘Designer Promotion’, Seoul Design Festival aims to enhance the competitiveness of both Korean designers and the Korean design sector. Graduating from Hongik University, Seoul, in 2009, Jiyoun Kim worked with the North American branch of Pantech Mobile Device Design for five years—during this time he established Jiyoun Kim Studio. Today, Kim works across multiple disciplines, including product design, branding, living products and art. The Dokkaebi Stool (pictured) was created by Kim as part of a larger art installation in the Hangang Art Park, by the Han River in Seoul. Founded by Seoul-based designers Byounghwi Jeon and Seungjoon Song, Studio PESI seeks to find new possibilities in design, by reinterpreting objects without losing their essential elements. PESI is an acronym for ‘Possibility, Essential, Standpoint, Interpretation’: the studio approaches design in a manner that is experiential, lively and cheerful. HARU stuck-on design is an exciting new concept from Japan, making it so easy to bring colour to interiors - and to create great art and design. Designed and developed by Japanese company Nitto, it's an adhesive tape that sticks to all kinds of surfaces, to furniture, to walls and floors - even to skateboards. And its special technology means it can easily be peeled off without a trace. Already a Red Dot Design Award winner, it's as ideal for sophisticated architectural projects as it is for inspirational interior designers, as exciting for parents as it is for graffiti artists. TORU, create aesthetic, smart and functional furniture, set apart by the use of exquisite, vegetable-tanned leather, exploring and experimenting with leather’s vast potential in furniture design. Founded in 2015 by Jordi Ribaudí; TORU’s roots are in the local leather industry. TORU will be showcasing three pieces from their collection at London Design Fair, including the Clop chair based on the simplicity of a clog shoe, combines a backrest made from a thick piece of folded vegetable tanned leather, solid oak and brass to create a simple and natural piece. Showing at the Fair as part of the Spain: Inspired in Barcelona.